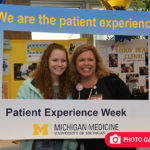 Once again, Michigan Medicine is giving its employees a chance to show some love to their family, colleagues, neighbors and friends. By getting the annual influenza vaccination, faculty and staff help prevent the spread of disease and protect those who mean the most to them. So … flu do you love? Headlines wants to know who you will help protect from the influenza virus! Will it be your children or your spouse? Perhaps it’s your great aunt and uncle you’ll celebrate with around the holidays. Or just the friends you hang out with to watch the big game. Email a photo of you with the people you love — and have all of them make a heart shape with their hands! — to headlines@med.umich.edu for the chance to be featured in an upcoming Headlines story and to win a prize. Under the organization’s influenza vaccination policy, faculty, staff, students and volunteers must receive their annual vaccine by Dec. 1, 2018 or receive an approved exemption or declination. Those with an approved exemption or declination will be required to wear a mask in patient care areas for the entire flu season. Members of AFSCME, BMETs of the Skilled Trades Union, IUOE, and UMPNC unions should refer to their union contracts and/or memoranda of understanding pertaining to flu vaccinations for additional information that applies to each of the respective unions. 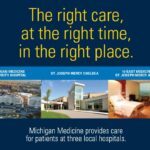 There are many opportunities to get your flu shot at Michigan Medicine, including free flu clinics across the medical campus beginning on Oct. 1. Vaccines are also available at Occupational Health Services in the Med Inn Building or from clinical unit flu liaisons. 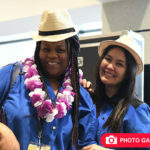 Make sure to have your ID badge when you arrive and you’ll receive a sticker for your ID badge after getting the shot. If you get your flu shot at your doctor’s office, pharmacy or any other location outside of the OHS flu clinics, make sure to get documentation on paper with your name on it. Give this to your department’s compliance contact so they can record it and give you a sticker for your ID badge. If you have a religious belief or medical condition that prevents you from receiving the flu vaccine, you may submit an exemption form for review by Nov. 1, 2018. Later this year, the Infection Prevention and Epidemiology team will notify everyone when flu season begins, which will alert those who received an exemption or declination to start wearing a mask in all patient care areas. More information about this year’s flu prevention program, including Frequently Asked Questions, is available on the organization’s flu website. On behalf of everyone at Michigan Medicine, thank you for showing some love and doing your part to protect the community from the spread of the flu!